A new poll finds Americans are more concerned about their drinking water than they are about any other environmental issue. The U.S. population appears to be more concerned with polluted water than it has been in over a decade, just as the Trump administration is rolling back water protections. According to a new Gallup poll, 63 percent of respondents said they worried “a great deal” about pollution of drinking water, while 57 percent of overall respondents also said they were concerned about pollution of rivers, lakes and reservoirs. The percentage of respondents with water concerns is at its highest level recorded in Gallup’s annual environmental poll since 2001. That number also surpasses the percentage of respondents who are concerned with the four other environmental issues included in the poll — air pollution, climate change, the loss of tropical rainforests and the extinction of plant and animal species. 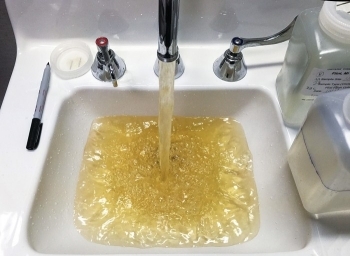 The pollsters say respondents’ water pollution concerns are likely linked to the high-profile drinking water crisis in Flint, Michigan, which has elevated an issue that is often out of sight and out of mind. It appears that is particularly the case for lower-income and minority Americans who live in communities like Flint. The poll found that lower-income respondents were far more concerned with water pollution than more affluent ones. The same was true for non-white respondents, 80 percent of whom said they were concerned with water pollution, compared to just 56 percent of white respondents. These findings did not come as a surprise to water experts. 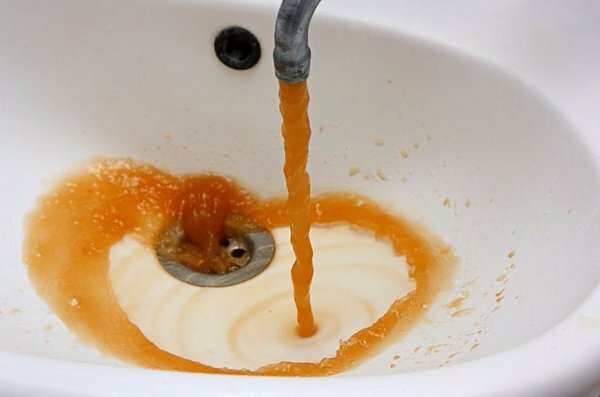 Nneka Leiba, deputy director of research at the Environmental Working Group, said the situation in Flint is just one example of a water quality concern likely weighing on Americans’ minds. A report released last year found that 5.2 million Americans’ drinking water supplies are tainted with cancer-linked synthetic chemicals. Though some of these examples have been many years in the making, the poll’s findings take on heightened meaning at a time when the Trump administration is pushing to dismantle the Environmental Protection Agency’s “waters of the U.S.” Clean Water Rule and slash the EPA’s budget significantly ― actions that could impair the agency’s ability to effectively intervene in future crises. Advocates are confident these concerns won’t be dissipating anytime soon, even in light of positive developments in Flint. Last week, on the heels of news that the EPA will award $100 million to the city, Flint and the state of Michigan agreed to a plan to replace the city’s lead water lines by 2020. At the same time, other cuts President Donald Trump has proposed for water initiatives have raised serious concerns among environmental and public health groups. Among those cuts is the proposed elimination of the U.S. Department of Agriculture’s $498 million water and wastewater loan and grant program, which helps struggling rural water utilities fix their infrastructure systems. Cutting the program, advocates fear, could devastate small towns that are already struggling to consistently deliver safe drinking water to their residents. Peter Gleick, co-founder of the Pacific Institute think tank, which studies water policies, believes these kinds of cuts will “massively weaken rather than strengthen” federal water protection efforts — and that won’t go unnoticed by voters.